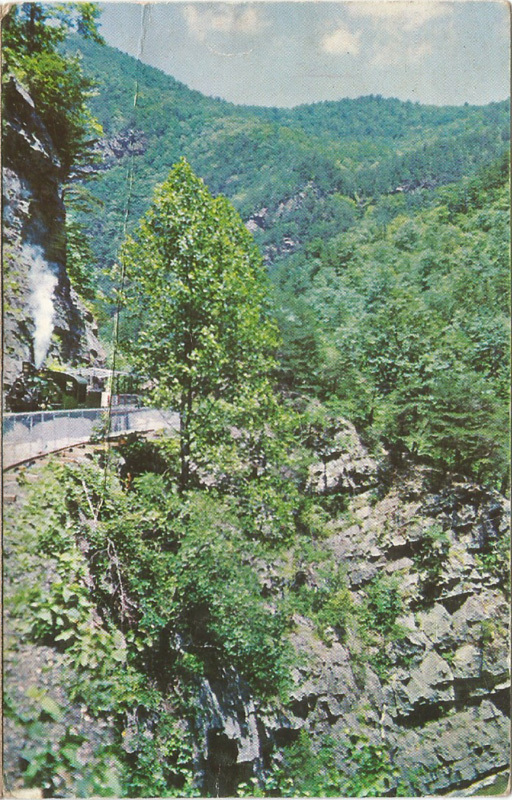 Both of these chrome postcards are from the late ’60s, when Doe River Gorge Playland was in business (check this link). As you’ll read on that webpage, for about a year, it was Hillbilly World and it closed in 1971. I’ve hiked the gorge twice, once from the Ministry side and once from the highway side. I think the one on the left shows the Engine #1 at Pardee Point, the one on the right is just a general shot of the engine steaming along. The technical details: On the left: the card is badly creased end to end. Shame, that. It’s been scribbled on, apparently by a child. Postally unused. On the right: Card is in pretty good shape. All rest is same as above. As you can see, the title of this postcard, a real photo card, is “SOU. 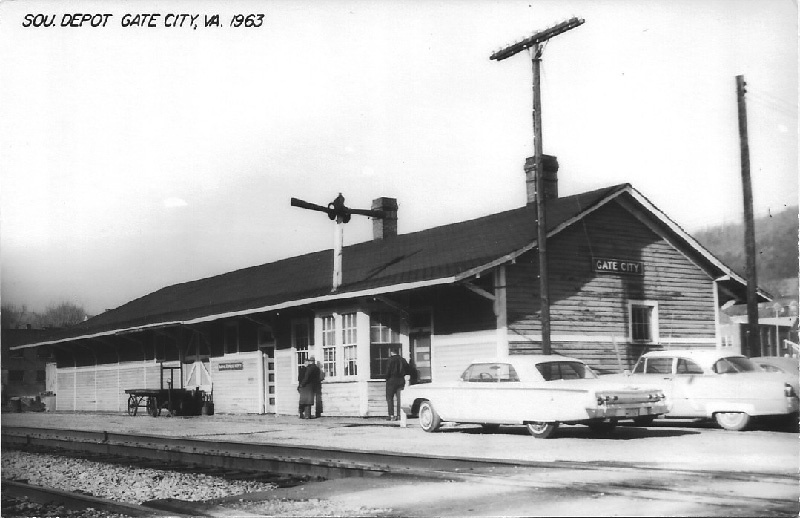 DEPOT GATE CITY, VA 1963”. There is no more information anywhere on this card. I bought it maybe 10 years ago from a dealer in Maryland. Since the first SLR cameras began coming into the United States in 1963, it’s entirely possible this was shot with a regular rangefinder camera. Either the lens was soft or the film was slow, either way, the sign about halfway down the building should be readable, but it isn’t, even at 10x magnification. It’s out of focus. 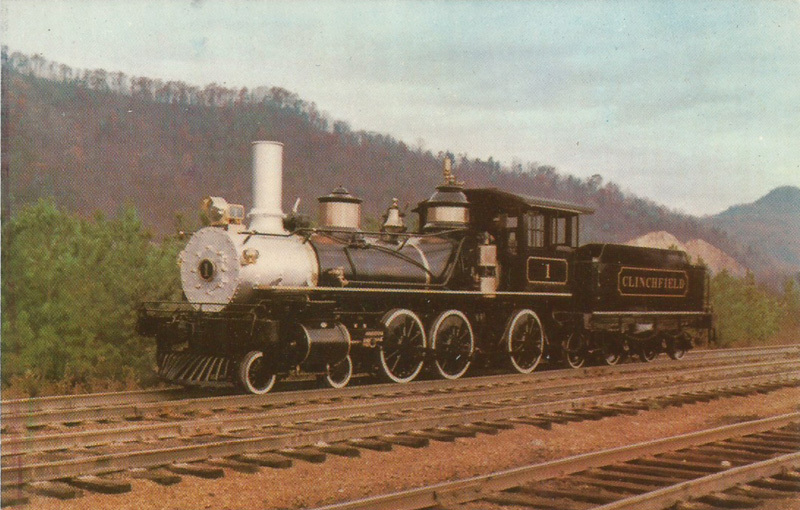 This post card, never mailed, shows the tender with the livery of 1968 with Clinchfield in gold letters. 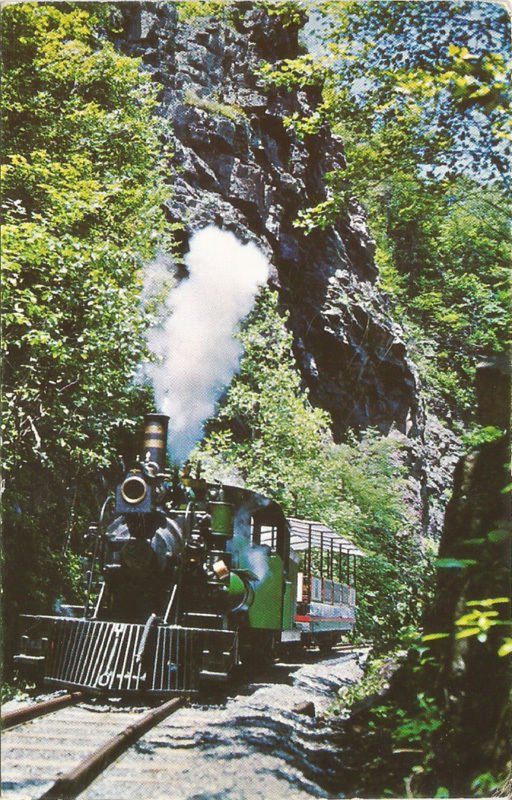 On the back: THE CLINCHFIELD SPECIAL – The most famous little steam engine of railroad history, built Aug. 1882, is puffing again through the Appalachian Mountains. It sounds nostalgic episodes of history with its whistle echoing through the mountains. Old No. 1 pulled first food, medicine and rescue workers to Johnstown, Penn. flood area May 1889, and the first refugees out. Y’s MEN’S CLUB OF ERWIN, TENN. Note: in the PLACE STAMP HERE box, there is a small “69” in the lower right. This may be the date the card was printed. Inman is an unincorporated community in Wise County VA. This is a divided-back postcard that was allowed between 1907 and 1914. A website had this card for sale and, without attribution, stated it was “1910’s”. Close enough. I think this is an Interstate Railroad steam engine, but I can’t be sure. 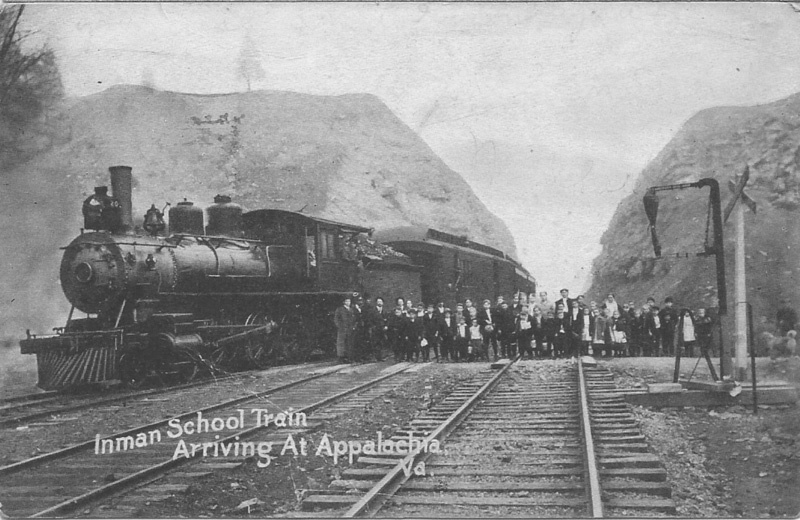 Addressed to Miss Blanche Gladson, RR #4 Rogersville Tenn. If you want to know more about Miss Blanche, go here. If it’s still not the top entry, look for “Rogersville Postcards” in the menu.